"Gamiana" comes from Games + Aashiana, Hindi for house, and together they mean "house of games". The company's goal is to be a dominant player in its genres with a global footprint. We are committed to publishing & developing multi-platform games for smartphones, tablets as well as social networks and the browser. Gamiana is poised for the emerging markets, including India, as smart phones are proliferating speedily. The company has a focus on multiplayer and massively multiplayer online games that address the challenges of internet adoption in many developing markets and also have a global appeal. The company also provides game development services on Unity 3D, HTML5, Adobe Flash and AIR platforms. The ONLY OFFICIAL SUNNY LEONE GAME available on the planet. Sunny helped design this multi-player, multi-lingual Teen Patti game, sharing her favorite personal photos and videos. Sunny will be tweeting her fans when she plays #TPwithSunny. World's first Strategy MMO based on Indian history! 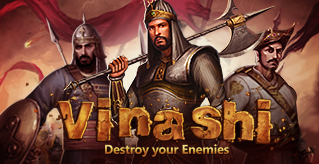 Select a dynasty, grow your village, train an army, conquer lands, forge alliances and become the ultime ruler of India! Compete with thousands of players from around the world. If you like Hindi movies, you're sure to love this game of Bollywood trivia. Look at the image and guess which movie it is. Easy to pick up and fun to play! 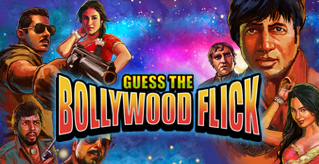 Movies from oldies to new hits, this is a unique game on Bollywood for all you Hindi movie buffs. With the FIFA World Cup around the corner, this game is a must-have for all football fans. Just look at the picture and guess the footballer. It can't get any simpler than that. With more than a hundred players from various national and club teams, your football IQ is going to be tested for sure! A must-have game for all cricket fans. Look at the picture and guess the cricketer. Its simple, yet highly addictive! More than a hundred cricket players from all over the world for you to guess. 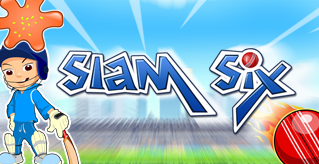 One of the most addictive and simple games ever made on Cricket for mobile! The gameplay is extremely rewarding where you score through swipes and taps. The unique arcade game does not imitate the regular cricket simulation pattern and manages to deliver byte sized gaming experience to the casual gamer. The management team consists of industry veterans with over 50 years of experience in all aspects of game development, publishing, and operations. Founder and CEO of Gamiana. Vishal was one of the pioneers to launch educational PC games in India. Under Vishal’s leadership, Gamiana was one of the first gaming studios based in India to release a game on Facebook (2007). He has been developing many titles for the Western and global markets. Some of the clients include - Warner Brothers, Cartoon Network, and others. Prior to his foray in the games industry, Vishal worked with Micron Technology in the USA. Vishal has a B.S. Electrical Engineering from Northern Arizona. Chairman of the Board of Directors of Gamiana, lead investor and Indian Angel Network representative. He has a strong passion for coaching and mentoring and serves on the Boards of several start-up companies worldwide. He is the founding member of the Pune Chapter of the IAN and actively involved in many other industry associations – TiE Pune (Charter Member), Ex-President, Software Exporters Association of Pune, Ex-Chair, YPO Pune. Chetan holds a Masters degree in Computer Science from the University of Pennsylvania, USA. He also holds an MBA in Finance from the University of Scranton, USA and a Bachelor degree in Commerce from Sydenham College, University Bombay (Mumbai, India). Mark is a former rocket scientist. After spending over two decades at Pratt and Whitney Rocketdyne making next generation space propulsion, Mark left aerospace and became the Director of Game Design at Idle Worship. At Idle Games he was also the General Manager of Fresh Deck Poker and built both the game and the team from day zero. As the Director of Social Gaming at PokerStars, Mark was responsible for the design and build of PokerStars Play. Mark is currently the Chief Product Officer at Gamiana and splits his time between the United States and India. Mark can do full lotus and has been known to actually chant Om. Chief Technology officer of Gamiana. Kirtimaan is a self-taught tech whiz and an avid gamer. His hobby is keeping up to date with the latest technological advances in social gaming and computer programming. Kirtimaan derives immense joy in solving the challenges that multiplayer game development present and is always looking for better way to do things. A gentle heart but tough mentor, he is the shining light to Gamiana's engineering team. Kris Soumas is a TV executive gone rogue. She started her career at ABC News but swiftly changed course pursuing digital entertainment. A pop culture enthusiast, Kris specializes in blending the worlds of entertainment and games. As SVP of Games at A+E Networks, she launched top grossing social and mobile games for hit programs like Duck Dynasty and Pawn Stars. She also ran Lifetime Game Studios in San Francisco and was President of Roiworld, a celebrity-driven fashion gaming site based in Seoul. Shifting her focus from Hollywood to Bollywood, Kris is now the Chief Strategy Officer at Gamiana. Gamiana Digital Entertainment © 2015.